Attack of the Tire Eating Potholes of Palm Beach County! With all of the recent heavy rainfall in Palm Beach County a common scourge has been popping up all over the place. That’s right, we’re talking about potholes. Those ugly voids with sharp edges that have a voracious appetite for tires and love to cause undue stress on your car’s suspension. Last month Palm Beach County had an average rainfall of over 5 inches. June will be even worse with expected rainfall to reach over 7 inches! From driveways in Delray Beach to parking lots in Palm Beach, Now is the time to get a handle on these little monsters by patching potholes before even more rainfall turns those small cracks into giant craters. At Trinity Asphalt Paving in West Palm Beach, we have asphalt paving crews standing by from Boca Raton to Palm Beach Gardens to tackle this pothole problem once and for all. 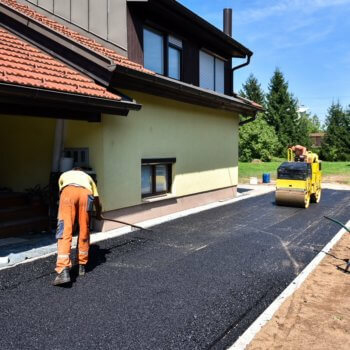 Our experienced paving staff can repair and patch any size pothole in your driveway with the best in modern sealants and fillers. We offer the incredible BlackBeauty sealcoat. We’re not talking about the horse of the same name ( that would just make more potholes ). We are talking about the best solution to cover any crack or pothole you have in your driveway or parking lot. We will make your pothole repair both weather and fuel resistant to ensure years of smooth driving. There are many different and effective methods to patch and repair potholes. 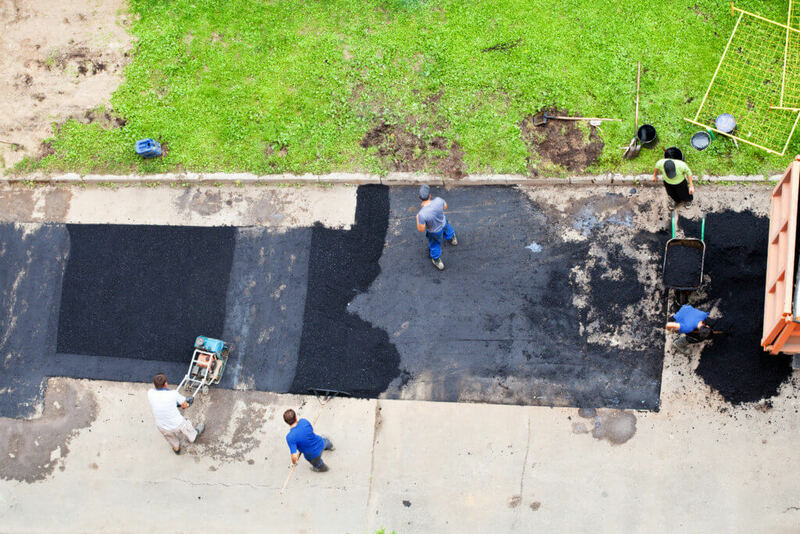 By calling us at Trinity Asphalt Paving, you can be assured we will provide the best and most economical solution to fix the problem. Parking lot potholes and cracks can be a real headache for businesses and property owners. Not to worry, we’ve got you covered! We can have those potholes filled and sealed in no time. Not only that, we also offer striping services to take care of everything at once! That’s right, we use DOT certified paint and can handle it all. From parking space lines to directional arrows and crosswalks, Trinity Asphalt Paving is your solution. Call (562) 889-2615 for a free quote and let the experts at Trinity Asphalt Paving and play your part to end the scourge of potholes today! Pull in the Driveway, it’s 2019! Want More Curb Appeal for Your Home? Beautify Your Driveway for the New Year! Did the Storm Damage your Driveway? Serving Palm Beach, Broward and Dade Country Florida. Pull in the Driveway, it's 2019!